July 2015. 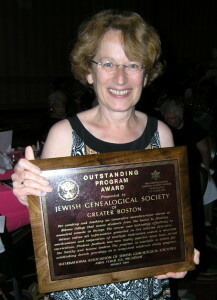 The Jewish Genealogical Society of Greater Boston (JGSGB) received the Outstanding Project Award from the International Association of Jewish Genealogical Societies at its annual meeting. 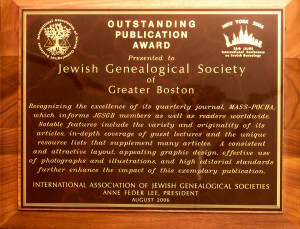 The award recognized the Society’s work in gathering valuable historical data from Memorial Plaques in synagogues across Massachusetts as a model for Jewish genealogy societies worldwide. 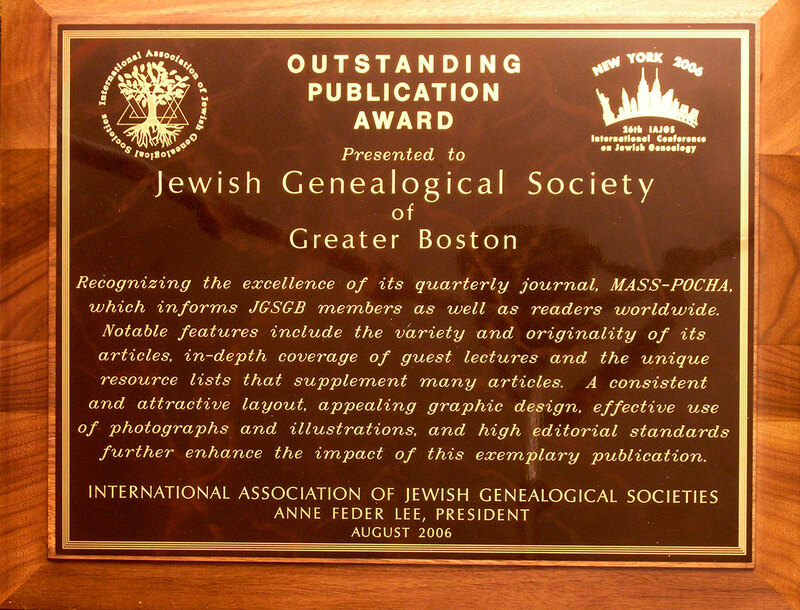 To date JGSGB volunteers have recorded information from 40,396 plaques from 65 synagogues and Jewish institutions. They plan to collect data from every Memorial (“Yahrzeit”) Plaque in every former and existing synagogue in the state. The information is available to genealogists and other researchers on JewishGen.org, the world’s leading Jewish family history website. 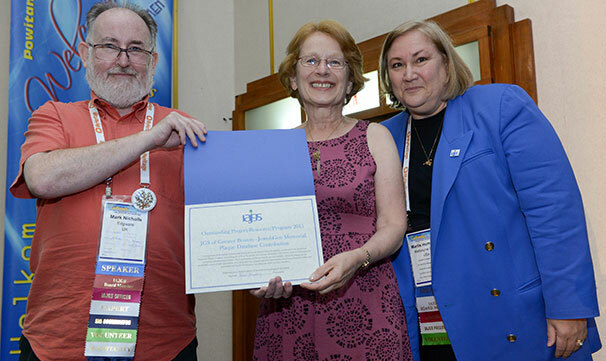 JGSGB received the “Outstanding Publication by a Member Organization of IAJGS″ award for our journal, Mass-Pocha from the IAJGS.